ExploreVR offers vocational rehabilitation (VR) agencies and their partners easy and convenient access to a range of research and data-driven tools and resources for planning, evaluation, and decision-making. We seek to increase knowledge about the public VR program and its role within the larger employment and disability service system across U.S. states and territories. VR agencies, directors, researchers, and policy makers can contribute to and access resources to inform programmatic decisions and policy on ExploreVR. If you would like to request VR data or technical assistance, or if you have any questions about ExploreVR and our work, please contact the ExploreVR at ExploreVR@umb.edu. ExploreVR is based at the Institute for Community Inclusion (ICI) at UMass Boston. The ICI’s mission is to support the rights of children and adults with disabilities to participate in all aspects of the community. As practitioners, researchers, and teachers, we form partnerships with individuals, families, and communities. Together we advocate for personal choice, self-determination, and social and economic justice. ExploreVR projects involve local, state, and national agencies, schools, institutes of higher education, national service programs, rehabilitation providers, multicultural organizations, employers, and many others. All of these partnerships work to further goals of independence and inclusion. ExploreVR is funded by the National Institute on Disability, Independent Living, and Rehabilitation Research (NIDILRR) and the Rehabilitation Services Administration (RSA) of the US Department of Education, through the following Grant Awards # H133B070001, H264A140002, and H133B120002. 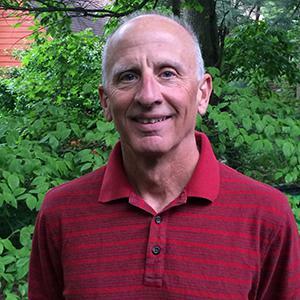 Bob Burns joined the Institute for Community Inclusion (ICI) as a senior policy specialist telecommuting from Columbia, Maryland. Prior to his involvement with ICI, Bob Burns was the director of the Maryland Division of Rehabilitation Services (DORS) from 1993-2010. 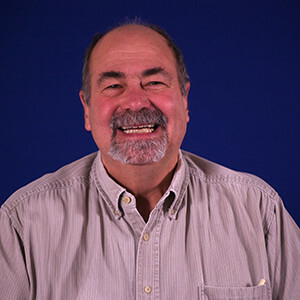 Bob served as a member of the executive committee for the Council of State Administrators of Vocational Rehabilitation (CSAVR) for 15 years, and also served as president of CSAVR. Bob received the 2001 Outstanding Professional in Education Award from the University of Maryland. Vito DeSantis is is a Senior Policy Fellow at the ICI. Prior to joining the ICI, Vito was the Executive Director of the New Jersey Commission for the Blind and Visually Impaired (CBVI). He also has served as President of the National Council of State Agencies for the Blind (NCSAB) and chaired many of its committees. Before entering state service, Mr. DeSantis served in the U.S. Armed Forces for nearly 11 years, retiring with the rank of Captain. Vito received the 2001 Major General Melvin J. Maas Achievement Award at the 56th National Convention of the Blinded Veterans Association. 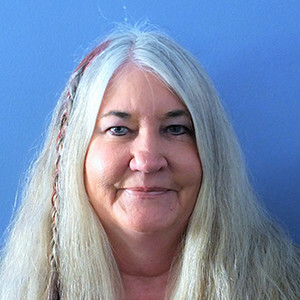 Dr. Susan Foley has focused her research activities on studying vocational rehabilitation practices and innovations in the improved employment outcomes of people with disabilities. She leads multiple national centers funded through the U.S. Department of Education and the U.S. Department of Health and Human Services. She has worked with more than 30 state VR agencies and is currently active in identifying innovations happening within agencies, transporting them to other agencies, and testing for advances in outcomes. David Hoff is a Project Director at the ICI. David works with public systems and community agencies to enhance employment outcomes for people with disabilities. He has worked in over 25 states, providing technical assistance and training on effective practices in human services and workforce development. David regularly presents on a range of employment-related topics to policymakers, practitioners, people with disabilities, and family members, at various national, regional, and local forums. 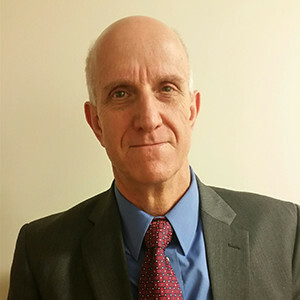 Along with his work with public disability agencies, much of David's work is focused on enhancing the ability of the general workforce development system to serve people with disabilities. Dr. Dana Jefferson is a Senior Policy Fellow at the ICI. Prior to joining the ICI, she was the Director of Human Resource Management for the state of Delaware and President of the National Association of State Personnel Executives (NASPE). Dana is lifetime certified as a Senior Professional in Human Resources by the Society of Human Resource Management (SHRM). Throughout her state career, Dr. Jefferson has been involved with continuous quality improvement and organizational development projects, contract and grant management, and automating numerous services from human resources to client related systems. Joe Marrone is a telecommuting Senior Program Manager for Public Policy at the ICI, based in Portland, OR. Mr. Marrone has served as Deputy Administrator of a large Community Mental Health Center in Washington. 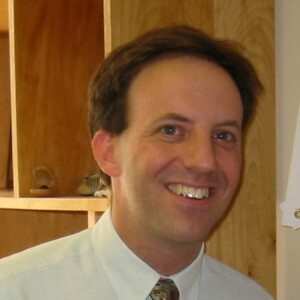 He has consulted, trained, published, and lectured across the U.S., Canada, Puerto Rico, Asia, and Europe on policy and program issues in employment services, workplace supports, psychiatric rehabilitation, program management, quality assurance and program accountability in human services, workforce development, community rehabilitation, welfare to work issues, and consumer empowerment. Mr. Marrone has over 30 years direct service/administrative experience in delivering rehabilitation services and in community mental health. 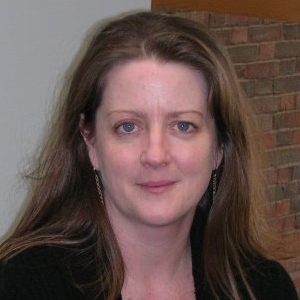 Linda Mock is a Senior Policy Fellow and Program Specialist at the ICI. Ms. Mock brings over 40 years of experience working in vocational rehabilitation and special education. 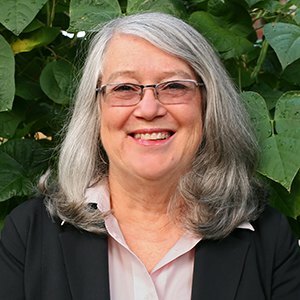 Prior to joining the ICI, Linda spent worked in a variety of capacities for the Oregon Commission for the Blind, beginning as a rehabilitation teacher and vocational rehabilitation counselor, and serving as the agency Administrator. Linda was as a member of Oregon’s Workforce Investment Board. Ms. Mock served as president for both the Council of State Administrators of Vocational Rehabilitation (CSAVR) and the National Council of State Agencies for the Blind (NCSAB). Russ Thelin is a Senior Policy Fellow at the ICI. 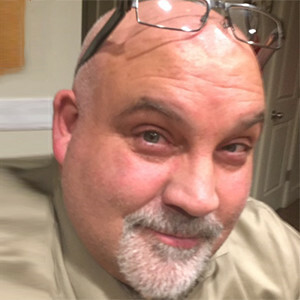 Russ has expertise in organizational and cultural change within vocational rehabilitation agencies, policy development, professional enhancement in supervision, and Special Education/Transition. Prior to joining the ICI, Mr. Thelin served in multiple roles as Executive Director of the Utah State Office of Rehabilitation, Director of Rehabilitation Services, Administrative Services Director, and Rehabilitation Counselor. Russ has over 25 years direct service/administrative experience in leading and delivering rehabilitation services. Russ also served as president of the National Association for Rehabilitation Leadership (NARL). The Massachusetts Rehabilitation Commission (MRC) was awarded this grant to assist VR-eligible students with disabilities to participate in individually tailored work-based learning activities that promote employment and/or postsecondary educational attainment upon graduation from high school. Drs. Susan Foley, Sheila Fesko, Heike Boeltzig, and other members of the ICI are partnering with MRC to provide evaluation and TA services, and to disseminate findings nationally. The Model Demonstration is funded by the Rehabilitation Services Administration (RSA), in the U.S. Department of Education, Grant Award: H421B16000. Maine Division of Vocational Rehabilitation (DVR) was awarded a 5-year RSA funded Transition Work-Based Learning model demonstration grant, with ICI as a key partner. Maine will be expanding the Progressive Employment model (building upon our RRTC on Demand-Side Strategies) in two new offices serving transition age youth. The ICI is playing a key role in Progressive Employment training / TA and supporting the evaluation, as well as providing additional disability training to staff. This Model Demonstration is funded by the Rehabilitation Services Administration (RSA), in the U.S. Department of Education, Grant Award # H421B16000. The Substantial Gainful Activity (SGA) Project builds the capacity of VR organizations to improve employment outcomes for individuals with disabilities receiving Social Security Disability Insurance (SSDI) benefits. VR agencies and partner organizations can benefit from the SGA Project through a rigorous examination of agency delivery mechanisms, trainings and manuals for implementing strategies, and on-demand technical assistance. The SGA Project is funded by the Rehabilitation Services Administration (RSA), Office of Special Education and Rehabilitative Services, U.S. Department of Education Grant # H235L100004. The JD-VRTAC strives to identify, adapt, embed, and sustain job-driven practices that lead to improved employment outcomes for people with disabilities. The Center creates VR-specific sustainable models of job-driven practices and supports businesses to find and retain productive workers. Outcomes and strategies from the JD-VRTAC have developed a knowledge base on the four topical areas of 1) building and maintaining employer relations, 2) services to employers, 3) labor market information, and 4) services to customized training providers. The Job-Driven VRTAC is funded by Rehabilitation Services Administration Grant (RSA) #H264A140002. The Paid Work Experiences Technical Assistance is funded by Rehabilitation Services Administration Grant (RSA) Grant Award#H264A140002. The Demand-Side RRTC produces knowledge about state VR agencies’ capacity for assessing and meeting business needs. The Demand-Side RRTC engages three state VR agencies in unique on-site laboratories and conducts national surveys, case studies, and secondary data analysis to learn how state VR agencies can meet employer demands in changing economic environments. Outcomes and strategies from the Demand-Side RRTC can be used to inform state VR agencies’ procedures and policies around improving business intelligence, serving the dual-customer, meeting industry demands, and utilizing labor market information, as well as other factors. The VR-RRTC on Demand-Side Strategies is funded by the National Institute on Disability, Independent Living, and Rehabilitation Research (NIDILRR) Grant Award#H133B120002. The RTAC on VR Program Management (RTAC) identifies, tests, and disseminates VR program management practices that improve employment outcomes for people with disabilities. VR agencies can benefit from RTAC by accessing exemplars, tools, and guidance on how to implement these effective practices within their unique contexts. The RTAC has adopted and adapted a learning collaborative method to initiate a cross-VR strategy for problem solving, identification and application of practice-based solutions, and evaluation of related outcomes. The RTAC is funded by the National Institute on Disability, Independent Living, and Rehabilitation Research (NIDILRR) Grant Award # H133A090002. Effective VR agency practices for improving employment outcomes for individuals with mental illness, and for those with developmental disabilities. The VR-RRTC is a cooperative agreement with the National Institute on Disability, Independent Living, and Rehabilitation Research (NIDILRR) and the Rehabilitation Services Administration (RSA) of the US Department of Education, Grant # H133B070001.